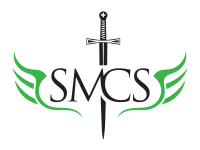 Explore the St. Michael Catholic School Handbook which includes the current Student Uniform Dress Code. All parents and students must sign an Acceptance of Terms sheet to verify they have received, read, and discussed the policies, rules, and regulations outlined in the handbook and agree to abide by them. Click HERE to print out a copy of the Acceptance of Terms Page. This sheet must be returned to the school office to remain on file. Click HERE to read the Diocese of Victoria Social Media Policy.